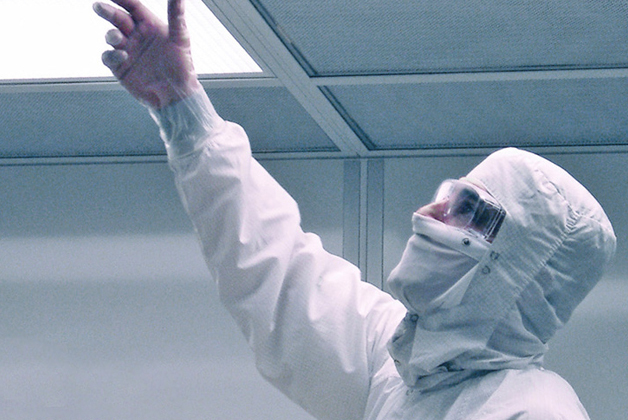 All of our CLEAN3 Turn-key Systems include a complete standard Cleanroom Lighting package. Equally important, we use only state-of the art LED Edge-Lit Flat Panels for low energy consumption. Further, each system features low energy consumption, long life, and sustainable light (with no shadows). Moreover, we offer three different mounting options: recessed, suspended and surface. Also, our LED panels are designed as a controlled enclosure that interfaces with a controlled environment. Hence, we understand that a sterile environment requires lighting fixtures that resist leakage and corrosion, facilitate cleaning and provide hazardous location protection (free of dangerous levels of EMI). Lastly, our LED lighting systems offer a variety of benefits including energy efficiency, absence of hazardous materials and low maintenance costs.